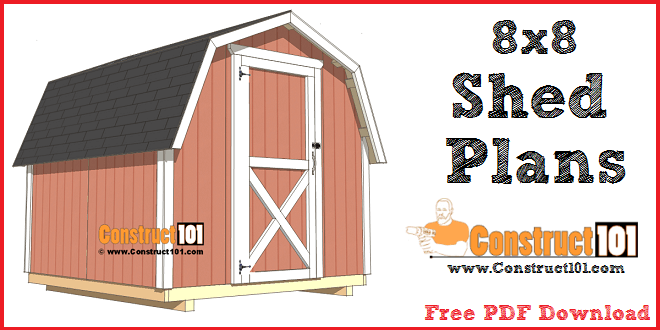 8×8 shed plans – small barn, plans include a free PDF download, shopping list, cutting list, and step-by-step drawings. 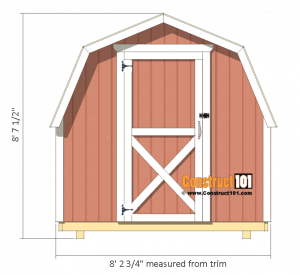 This gambrel design is great for storage or the garden. Cut two pressure-treated 2×6’s to 8′ long for the band. 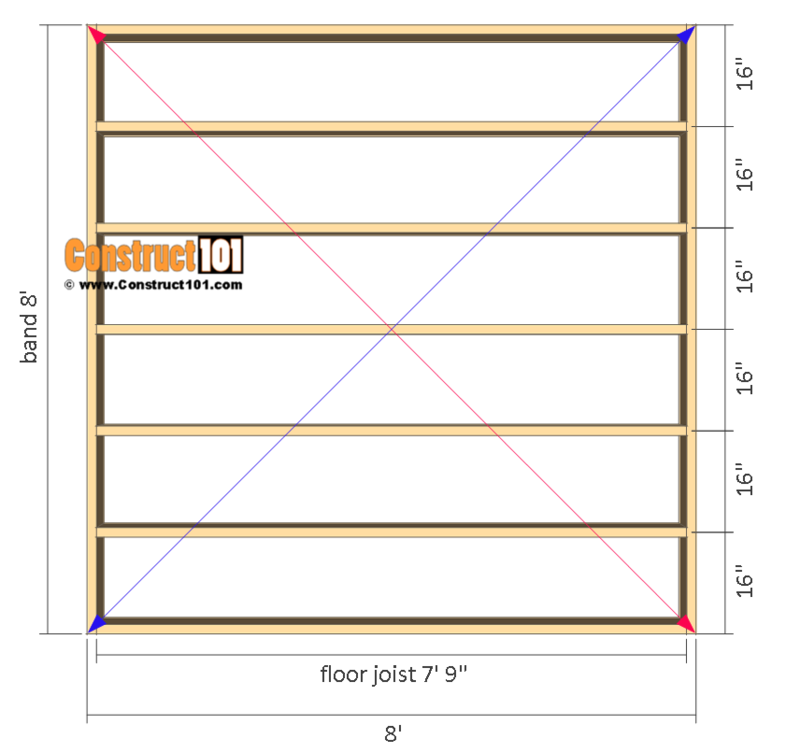 Cut seven pressure-treated 2×6’s to 7′ 9″ long for the floor joist. Assemble as shown on illustration above. Use 3 1/2″ nails, nail through the band and into the floor joist. Floor joist will be spaced out 16″ O.C. 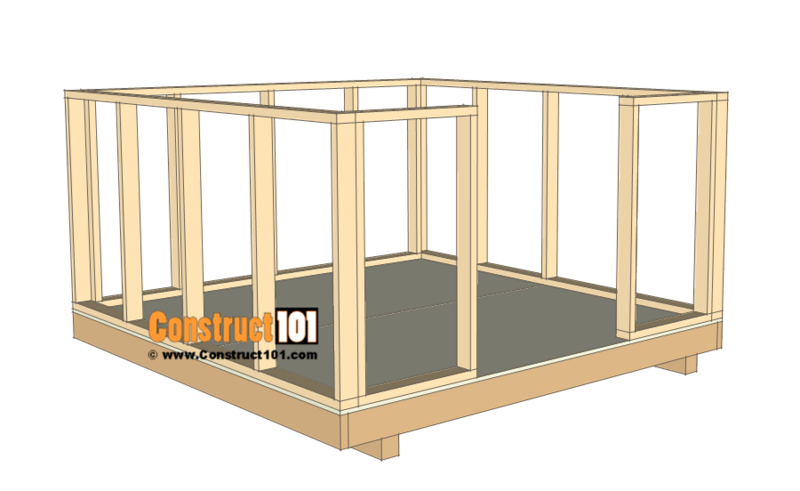 The floor frame can be squared by measuring diagonally until both sides measure the same. Cut two pressure-treated 4×4’s to 8′ long. 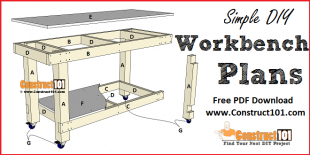 Attach the 4×4 skids to the floor frame as shown on illustration above, secure with 3 1/2″ nails, nail through the floor frame and into the 4×4 skids. Cut the 3/4″ tongue and groove plywood to size and install using 2″ deck screws. Screw through the plywood floor deck and into the floor frame. Cut four 2×4’s to 8′ long for the bottom and top plate. 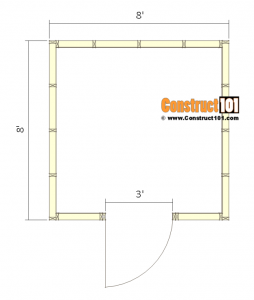 Cut ten 2×4’s to 3′ 7″ long for the wall studs. 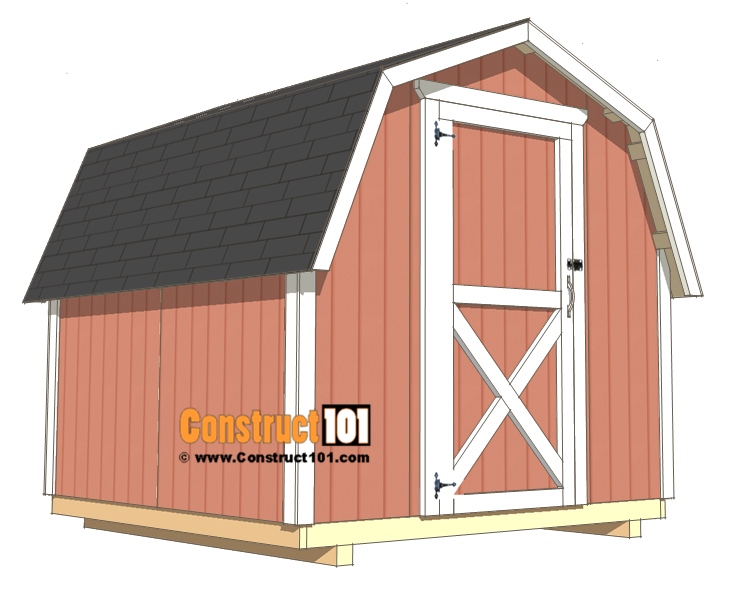 Assemble as shown in illustration above, nail 3 1/2″ nails through the top and bottom plate and into the wall studs. Cut two 2×4’s to 7′ 5″ long for the bottom and top plate. 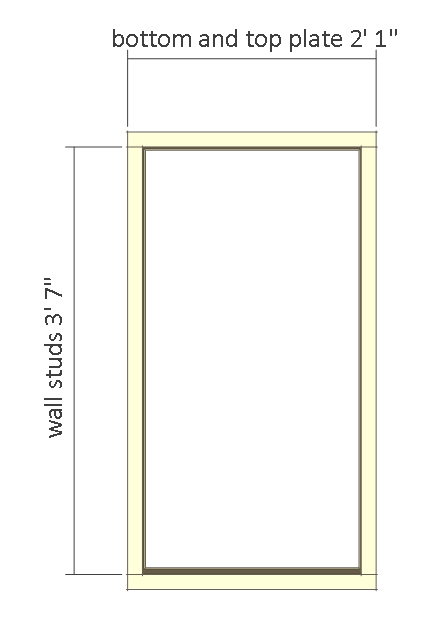 Cut five 2×4’s to 3′ 7″ long for the wall studs. 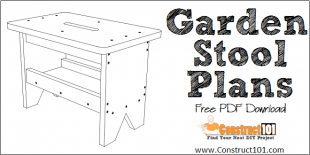 Assemble as shown on illustration above, nail 3 1/2″ nails through the top and bottom plate and into the wall studs. 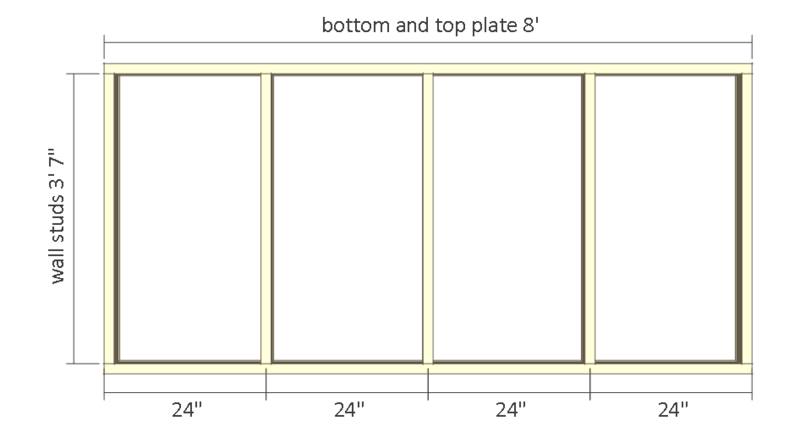 Cut four 2×4’s to 2′ 1″ long for the top and bottom plate. 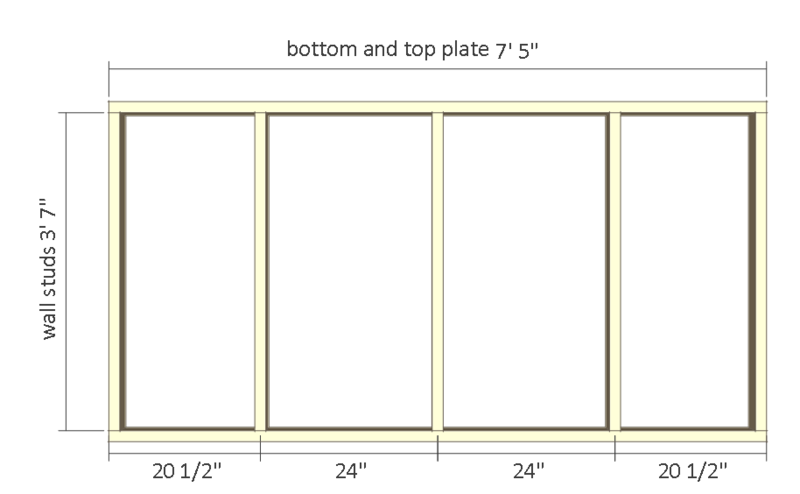 Cut four 2×4’s to 3′ 7″ long for the wall studs. Assemble as shown on illustration above, nail 3 1/2″ nails through the top and bottom plate and into the wall studs. 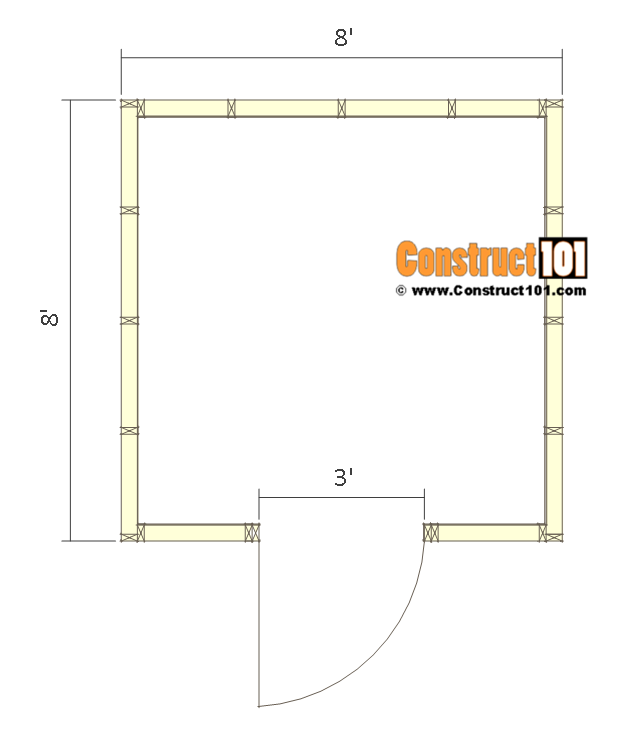 Nail wall frames into the floor and wall frame using 3 1/2″ nails. 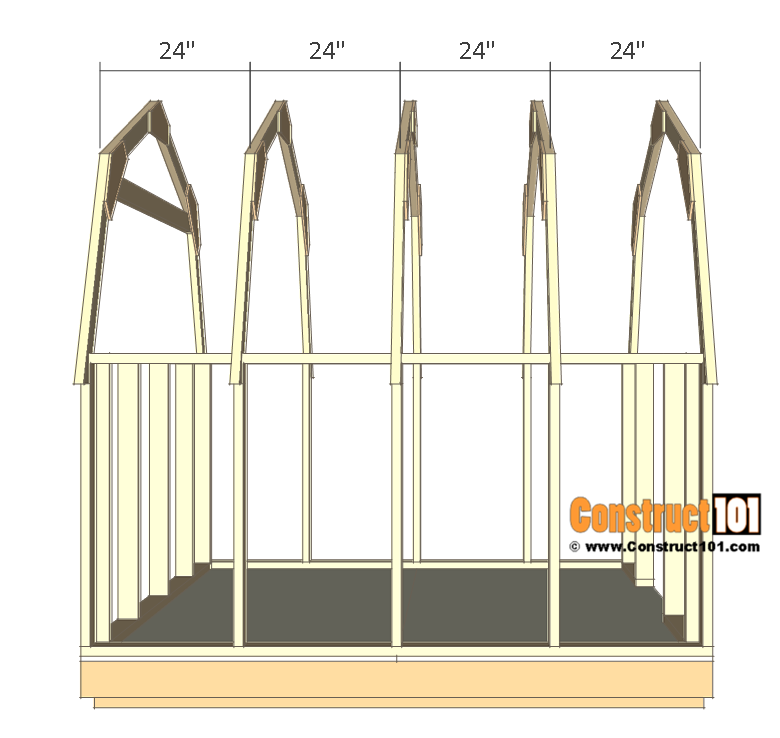 See illustration above for truss details. 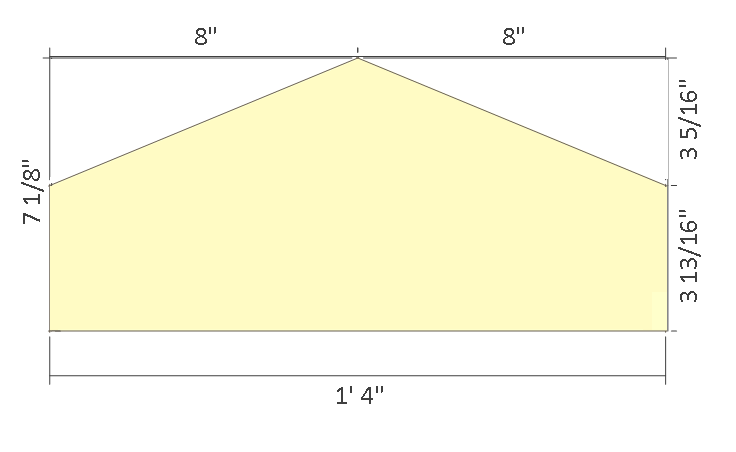 Cut twenty-eight 2×4’s to 3′ 3 5/8″ long for the rafters. Cut 22.5-degree angle cuts to the end, angle cuts on the ends will be in opposite directions. Cut a birds mouth to ten of the rafters as shown on illustration above. Cut 15 gussets from 1/2″ plywood as shown on illustration above. 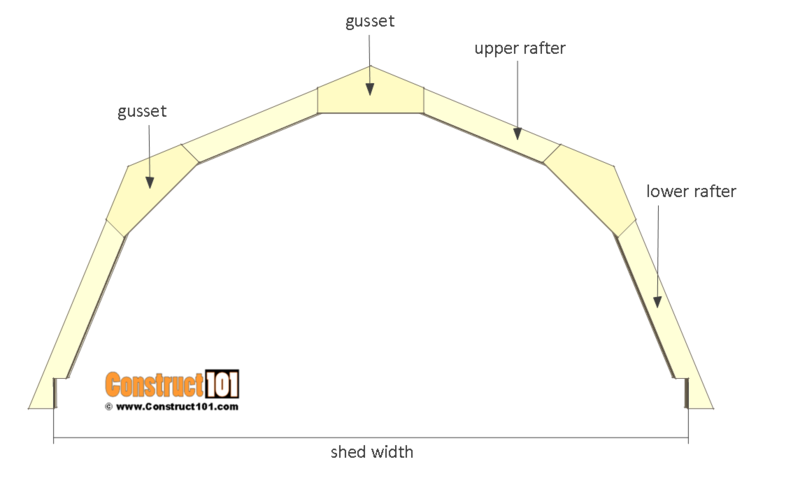 Assemble the roof trusses, nail 2″ nails through the gussets and into the rafters. 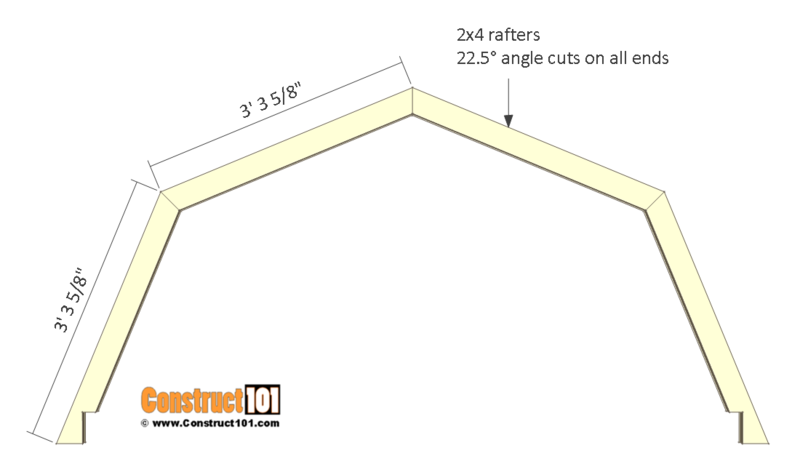 Cut one 2×4 to 5′ 10 3/4″ long, cut 22.5-degree angle cuts to both ends. 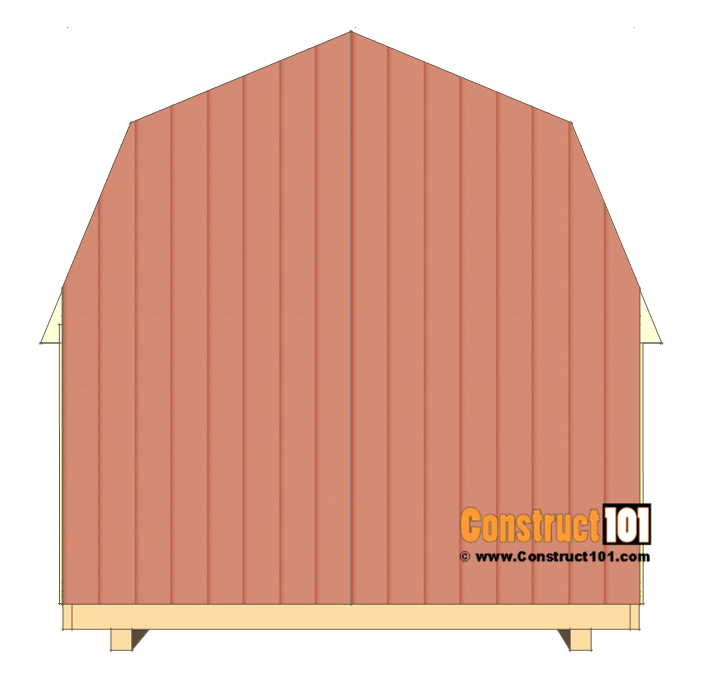 Attach to the truss as shown on illustration above, this truss will go on the back of the shed. 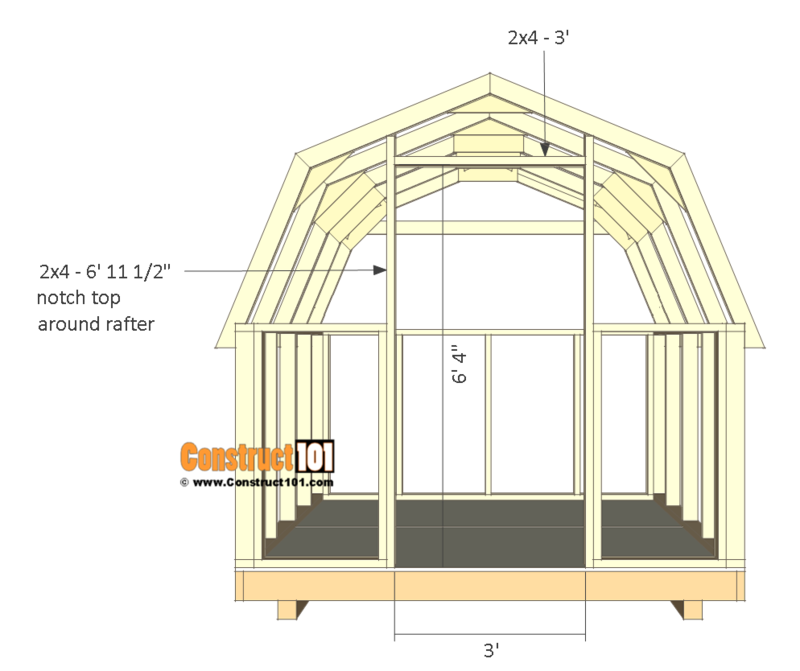 Install the roof trusses as shown on illustration above. 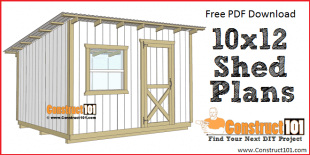 Use 3 1/2″ nails to assemble, nail through the truss and into the wall frame. 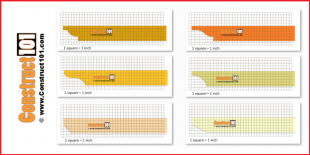 Cut three 2×4’s to 2′ 5 3/8″ long. 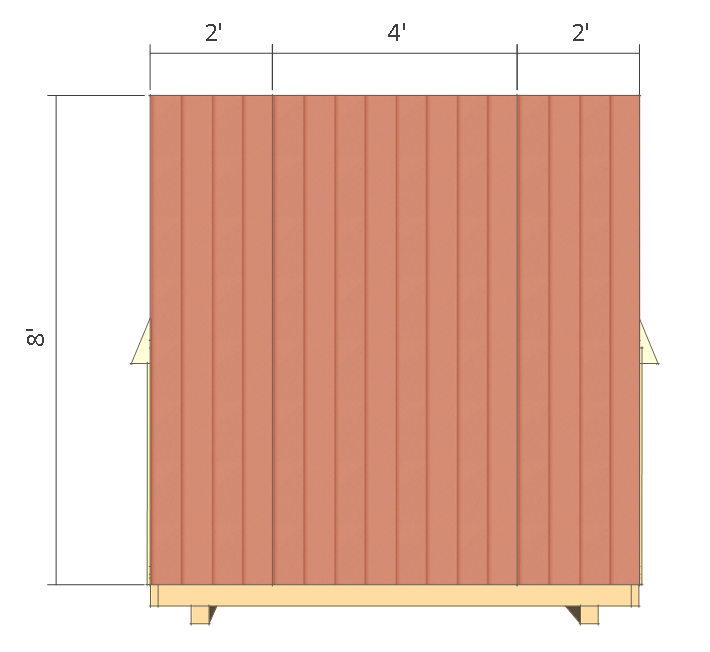 Install 2×4’s to the back wall as shown on illustration above. 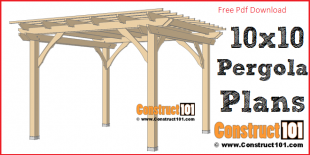 Notch the top of the 2×4’s to fit around the roof truss, install with 3 1/2″ nails. Cut two 2×4’s to 6′ 11 1/2″ long. 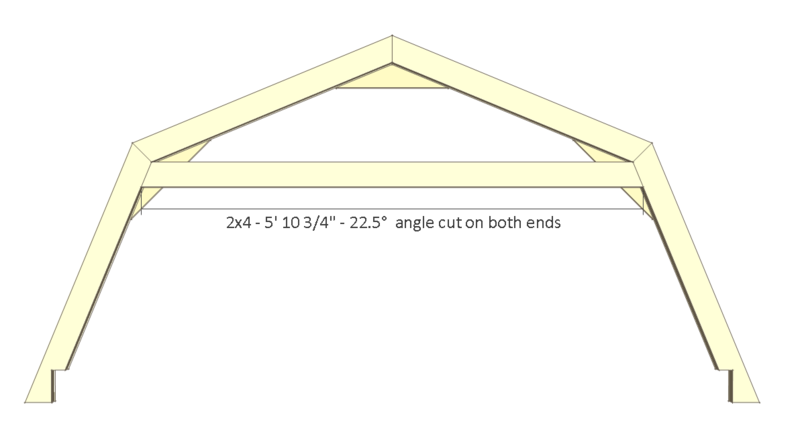 Notch the top of the 2×4’s to fit around the front wall rafters, install with 3 1/2″ nails. 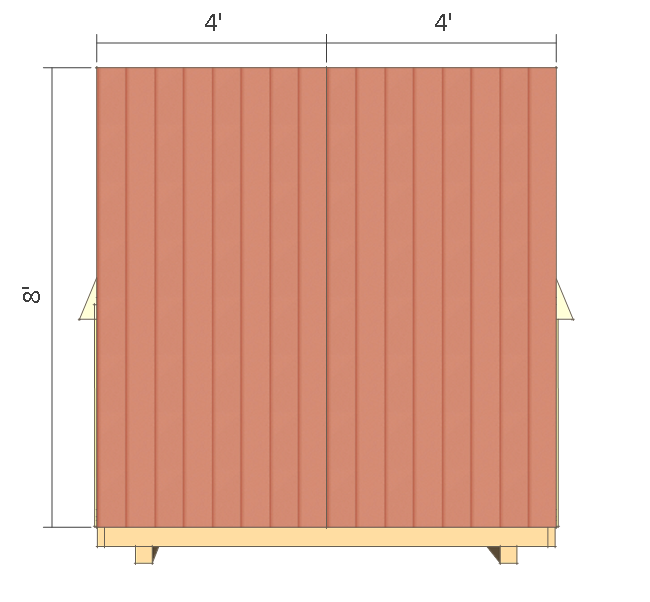 Cut one 2×4 to 3′ long and install as shown on illustration above using 3 1/2″ nails. 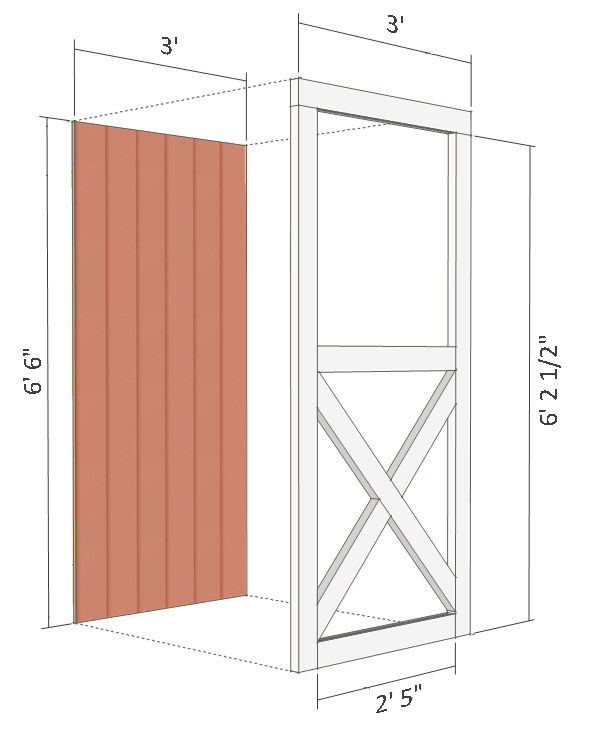 The door opening will be 3′ wide x 6′ 4″ high. 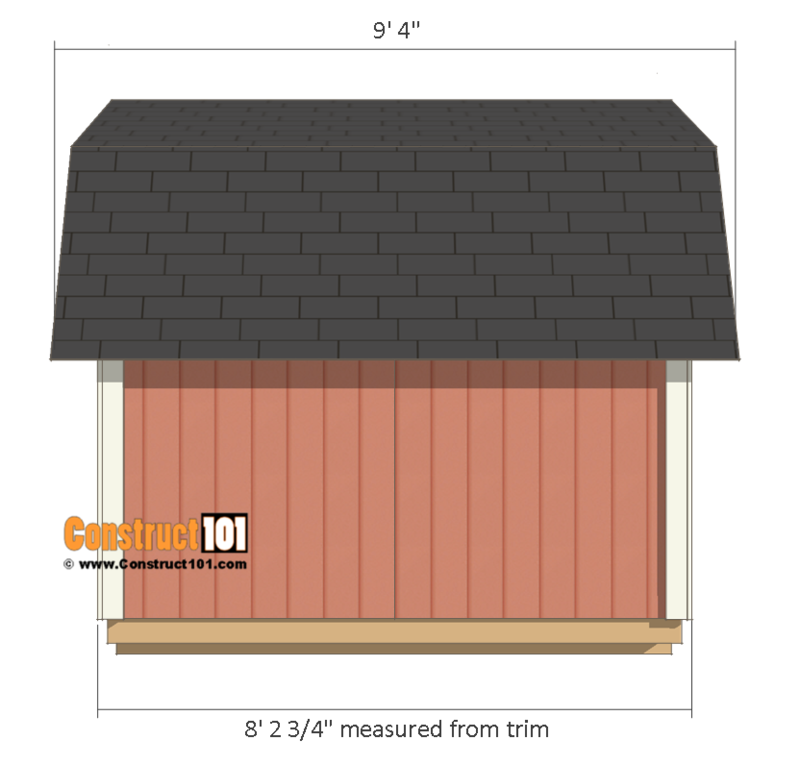 Cut the t1-11 exterior siding as shown on illustration above, notch siding around rafters, install with 1 1/4″ finishing nails. 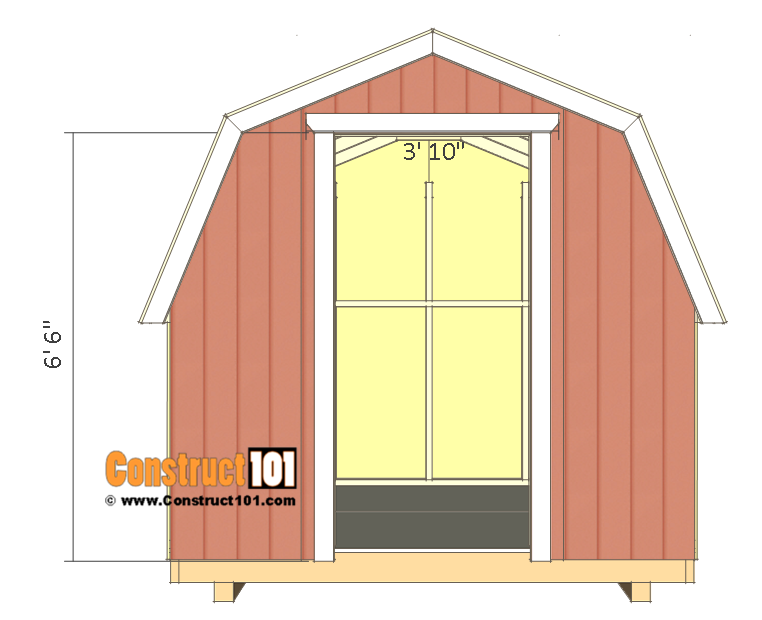 Install the front siding as shown on illustration above using 1 1/4″ nails. Cut siding around rafters, cut out door opening. The door opening that has been cut out will be used to make the door. 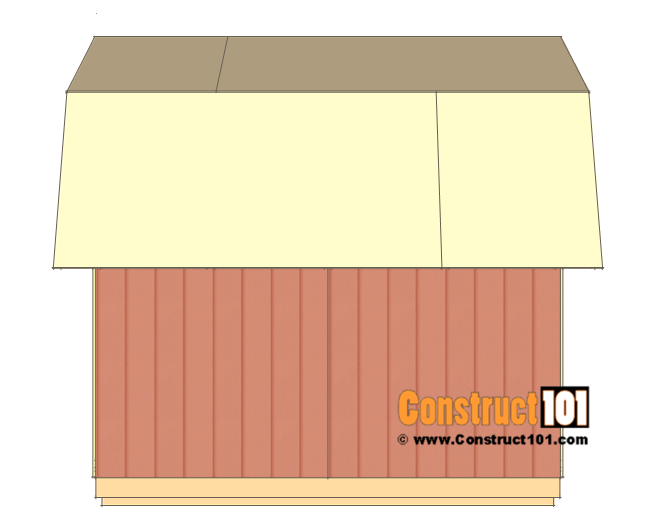 Install the back siding as shown on illustration above using 1 1/4″ nails. 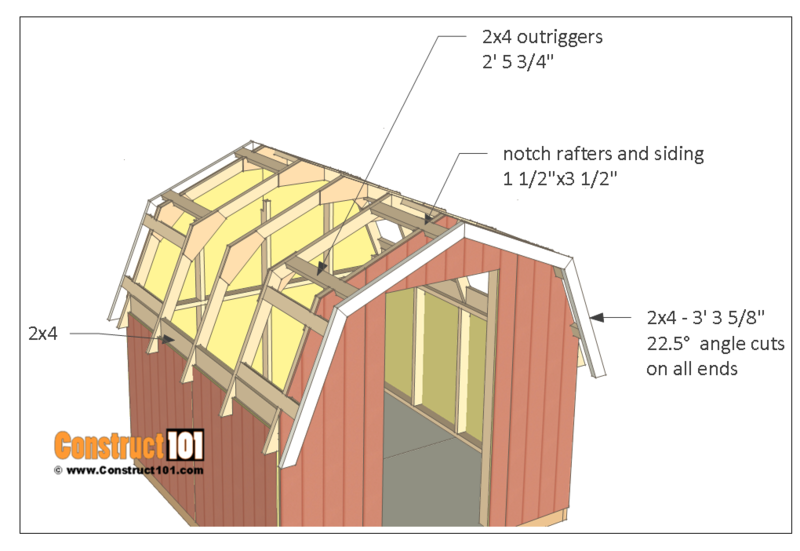 Measure and cut 2×4’s and install on the side wall between the rafters as shown on illustration above using 3 1/2″ nails. Cut sixteen 2×4’s to 2′ 5 3/4″ long for the outriggers. 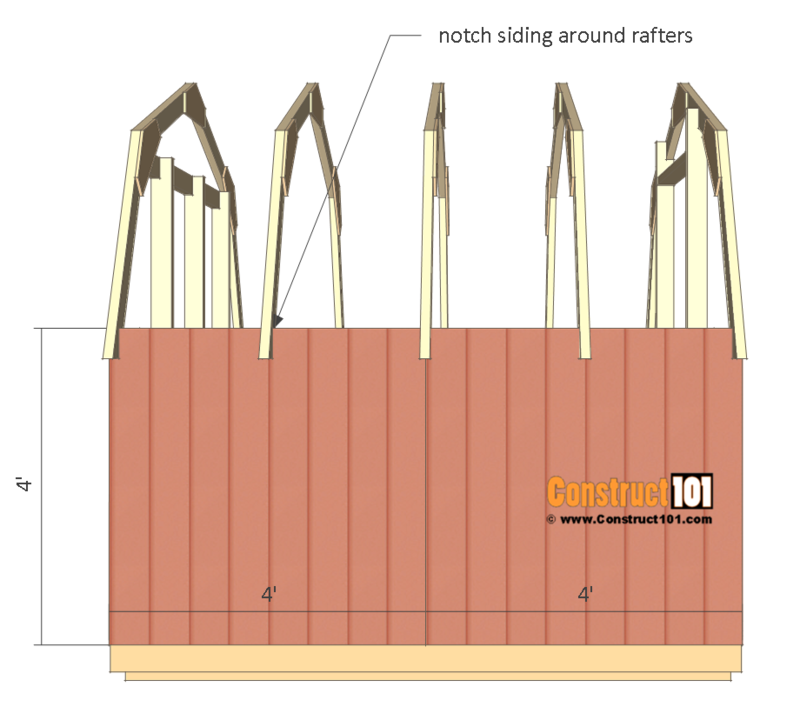 Notch the front rafters and siding as shown on illustrations above and install the outriggers using 3 1/2″ nails. 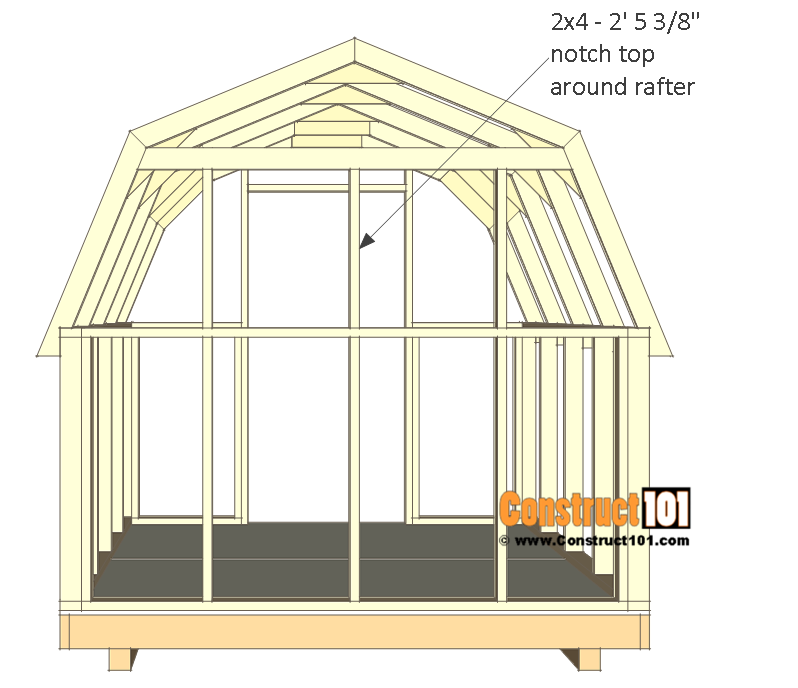 Attach the roof trim as shown on illustration above using 3 1/2″ finishing nails. 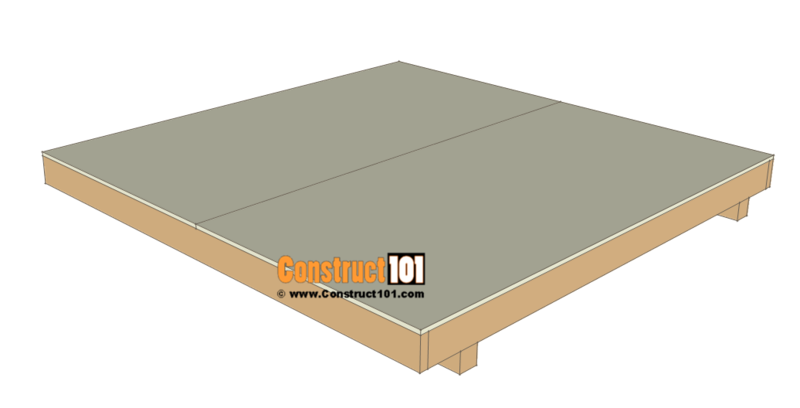 Measure, cut, and install the 1/2″ plywood for the roof deck using 2″ nails. Nail through the roof deck and into the roof truss frame. Cut two 2×4’s to 6’6″ long and one 2×4 to 3′ 10″ long. 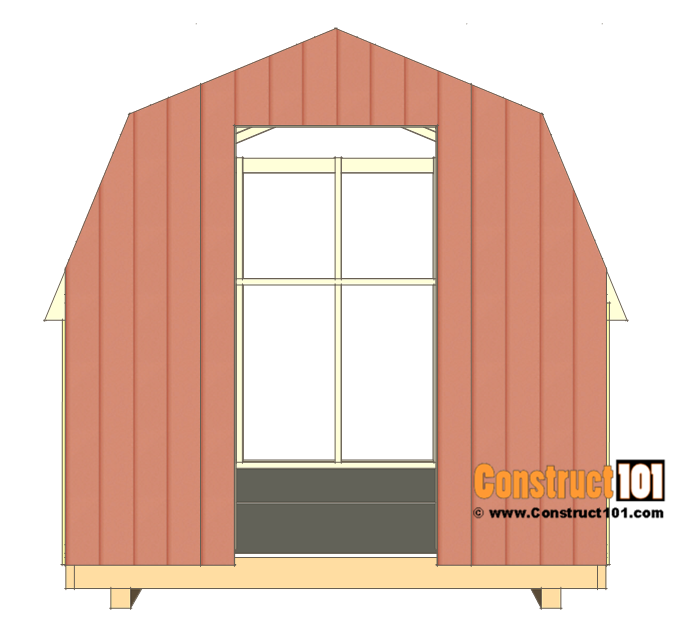 Install as shown on illustration above using 3″ finishing nails. Cut two 2×4’s to 6′ 2 1/2″ long. Cut one 2×4 to 3′ long. Cut two 2×4’s to 2′ 5″ long. Optional, measure and cut to size 2×4’s to form the X on the door. Nail 2″ nails through the siding and into the 2×4’s. 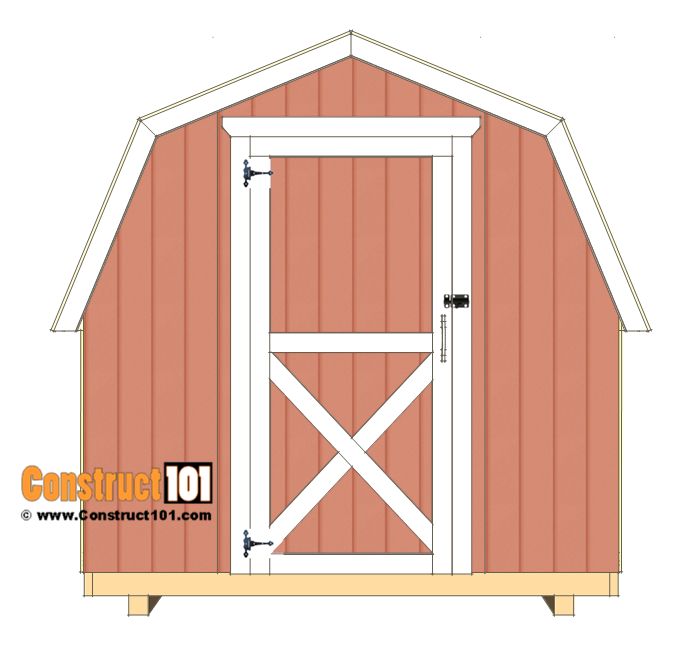 Install the door hinges, handle, and latch to the door and install door to shed. 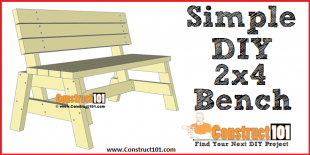 Measure and cut the 1×4 corner trim to size and install using 1 1/4″ finishing nails. 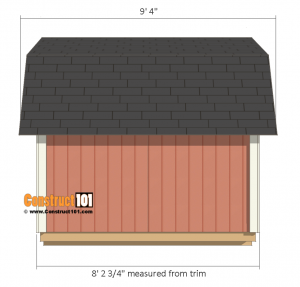 Install roofing felt, and shingles. 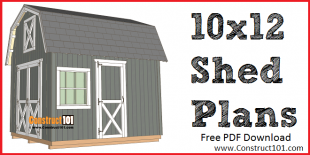 Like these 8×8 small barn shed plans? Let me know, leave me a comment below. Share this link with your friends and your social media, thanks. 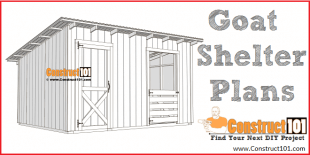 I would be happy to see more Shed plans. 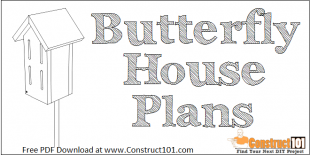 These are great plans. My Son’s shed is on it’s last leg. This will be a nice Father/Son project. Thanks!